For every six water bottles we use, only one makes it to the recycling bin. If your family is like many in the United States, unloading the week’s groceries includes hauling a case or two of bottled water into your home. On your way to a soccer game or activity, it’s easy to grab a cold one right out of the fridge, right? But all those plastic bottles use a lot of fossil fuels and pollute the environment. In fact, Americans buy more bottled water than any other nation in the world, adding 29 billion water bottles a year to the problem. In order to make all these bottles, manufacturers use 17 million barrels of crude oil. That’s enough oil to keep a million cars going for twelve months. Imagine a water bottle filled a quarter of the way up with oil. That’s about how much oil was needed to produce the bottle. So why don’t more people drink water straight from the kitchen faucet? Some people drink bottled water because they think it is better for them than water out of the tap, but that’s not true. In the United States, local governments make sure water from the faucet is safe. There is also growing concern that chemicals in the bottles themselves may leach into the water. People love the convenience of bottled water. But maybe if they realized the problems it causes, they would try drinking from a glass at home or carrying water in a refillable steel container instead of plastic. 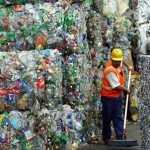 Plastic bottle recycling can help—instead of going out with the trash, plastic bottles can be turned into items like carpeting or cozy fleece clothing. Unfortunately, for every six water bottles we use, only one makes it to the recycling bin. The rest are sent to landfills. Or, even worse, they end up as trash on the land and in rivers, lakes, and the ocean. Plastic bottles take many hundreds of years to disintegrate. Water is good for you, so keep drinking it. But think about how often you use water bottles, and see if you can make a change. And yes, you can make a difference. 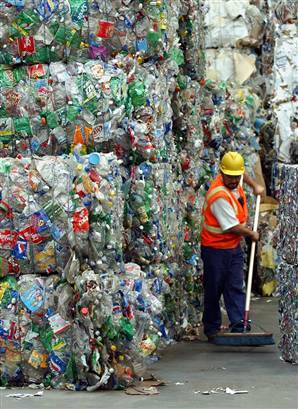 Remember this: Recycling one plastic bottle can save enough energy to power a 60-watt light bulb for six hours. This article talks about tap water as safe water to drink. But is it truly safe or healthy? Tap water is still water that has way too many chemicals in it for you to drink without having a negative impact on you bodies chemistry. Chlorine and fluoride are not natural chemicals for the bodies benefit, especially in the concentrations found in most municipal water. Bottled water isn’t even regulated as strongly as municipal water, so the contents of the water in bottled water is even more suspect along with the possible health problems the bottles themselves create. For complete details and to learn more – contact me directly at DrNoreenPicken@gmail.com or my message center at 1-888-853-9391 or my office at 931-761-6725. This entry was posted in Alkaline water, anti oxidant water, bottled water, Dasani water, healthy water, ionized water, processed water, unhealthy water, vitamin water, water for athletes and tagged alkaline water, anti oxidants, bottled water, dehydration, fortified water, healthy water, ionized water, tap water, unhealthy water, vitamin water, Water bottle trash. Bookmark the permalink. Hiya, I’m really glad I’ve found this info. Nowadays bloggers publish just about gossips and internet and this is really frustrating. A good site with interesting content, this is what I need. Thank you for keeping this web site, I’ll be visiting it. Do you do newsletters? Can not find it.